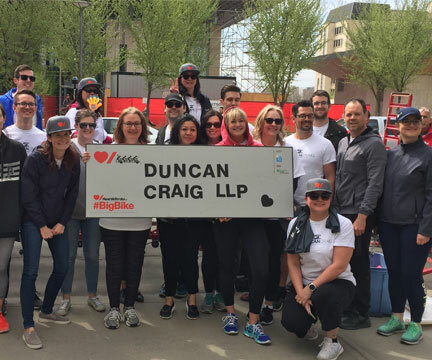 Relationships and Community are two of Duncan Craig LLP's cornerstone values. We believe that these values are integral to why we have been able to continuously provide legal services to Albertans since 1894. Our staff and lawyers are proud to provide annual support to dozens of charitable organizations, scholarships, school groups and fundraising initiatives. Please see the list below of organizations we have helped out this year alone. As part of our 100th anniversary celebrations, we created the Duncan Craig Laurel Awards to recognize and provide financial awards to innovative non profit organizations within Edmonton and area. The application process is open February through May with a celebration in the fall to announce the winners. In 2019 we will be celebrating the 25th Anniversary of the Laurel Awards to coincide with the 125th Anniversary of our firm. 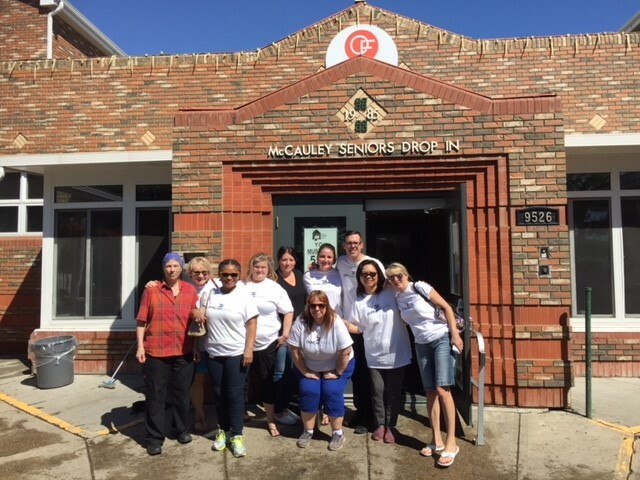 Another one of our community initiatives is to give each staff member a paid half day of work to volunteer at an organization of their choice during work hours. 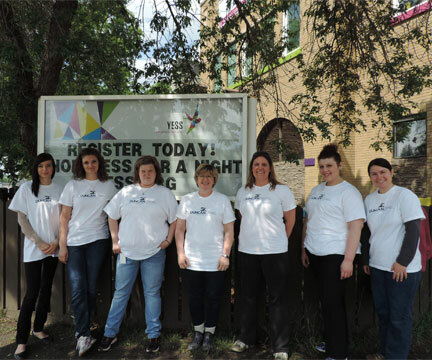 We set up quarterly group volunteer events where we lend a hand to a variety of organizations in Edmonton. We also give each staff member a donation amount to give to a charity of their choice annually. In 2013, we created the Duncan Craig Community Fund through the Edmonton Community Foundation. We fundraise throughout the year to contribute to this fund then donate a portion of these funds to organizations that are near and dear to the hearts of our staff and lawyers through an internal nomination and voting process. Please take a moment to look around our website and do not hesitate to contact us if you feel we might be able to support your organization by volunteering or donating. Assist's mission is providing confidential help to lawyers, law students and their immediate families with personal issues. 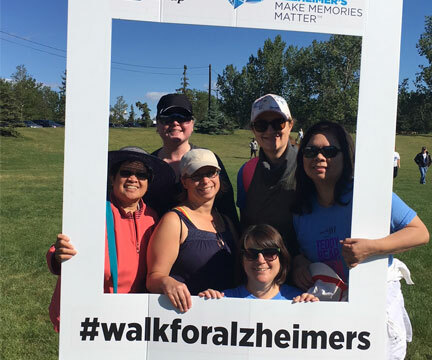 The Alzheimer Society of Alberta and Northwest Territories heightens awareness about Alzheimer's disease and related dementia, provides support services and supports research. Brain Care Centre is a non-profit organization stemming from the merger of NABIS (Northern Alberta Brain Injury Society) and EBIRS (Edmonton Brain Injury Relearning Society). Brain Care Centre offers programs and services at no cost to adults (18+) who have sustained an acquired brain injury and their families. Since 1986, the Canadian Breast Cancer Foundation has been at the forefront of a nation-wide movement to raise awareness and mobilize action on breast cancer. Today, the Foundation is the leading organization in Canada dedicated to creating a future without breast cancer. The investments in vital research, education and health promotion programs have led progress in breast cancer prevention, diagnosis, treatment and care. Caregivers Alberta was founded in 2001 by a group of caregivers who recognized that while there were supports for caregivers, many of them focused on the care recipient; support groups and education programs would discuss the progression of their loved ones illness or what to do if your care recipient fell. 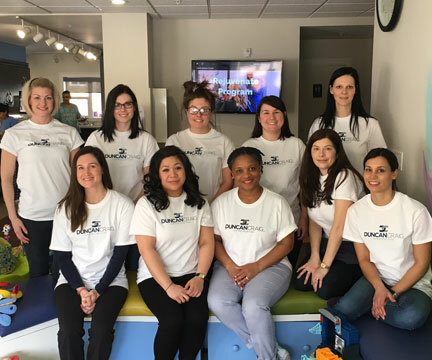 CASA is a major community-based provider of mental health services for infants, children, adolescents and their families within greater Edmonton and from Central and Northern Alberta. The Ed Stelmach Community Foundation is dedicated to assisting Alberta charities throughout Alberta, with a keen eye upon those organizations that may not receive the attention that they deserve and require. They believe wholeheartedly in the values of family: the importance of nurturing children, guiding young parents and rehabilitating those in the greatest need. The Edmonton Community Legal Centre (ECLC) is a non-profit organization that gives free legal information and advice to individuals and families. The Edmonton Folk Music Festival Society is a not-for-profit society registered under the Societies Act of Alberta that is dedicated to presenting and promoting folk music in all its diversity in Edmonton and Alberta. Members of the Society are all active volunteers who have demonstrated their involvement in and commitment to the Festival. Edmonton Meals on Wheels is a local non-profit and registered charitable organization that provides home-delivered meal and food services to a diverse mix of people. The Met is an orchestra committed to offering the enjoyment of symphonic and chamber music repertoire to all audiences in an accessible and affordable way. Its members share the belief in the power of this art-form to transform communities and to enrich lives. The purpose of the Greater Edmonton Poppy Fund, which is a service branch of the Royal Canadian Legion, is to assist our Veterans and their dependents. 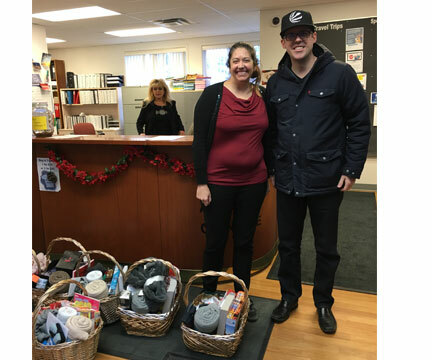 The money raised is used to provide those ex-service personnel and their families in need with dental and eye care, medical equipment, prescriptions, shelter, clothing and other assistance. 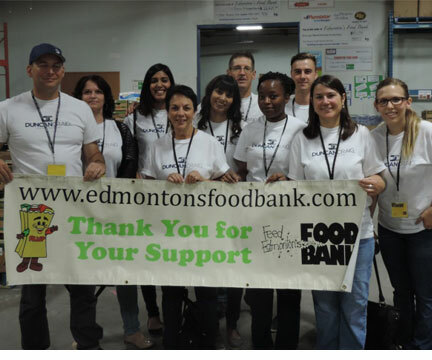 Each month, almost 20,000 people receive food hampers from Edmonton's Food Bank. The Food Bank also distributes food to more than 500,000 meals and snacks each month through more than 230 agencies, churches or food depots with which we are affiliated. The mission of the Eleanor Pickup Arts Centre is to create a multipurpose performing arts venue for the greater Drayton Valley community and to encourage and foster participation in the performing arts while revitalizing the downtown area. For more than 60 years, Heart & Stroke Foundation has been dedicated to fighting heart disease and stroke. Their work has saved thousands of lives and improved the lives of millions of others. In 1929, Reverend Harold Edwardson established a soup kitchen in Edmonton's inner city serving meals to hundreds of people struggling with unemployment and homelessness at the onset of the Depression. 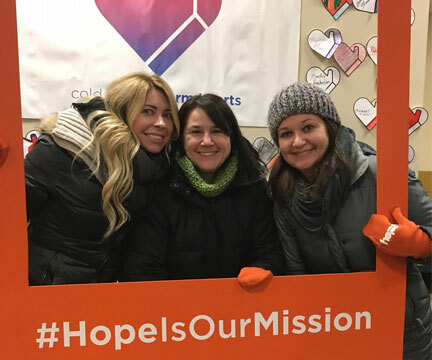 Today Hope Mission has grown into a not-for-profit Christian social care agency caring for impoverished and homeless men, women and children in Alberta. Human is all about creating workable pathways for Edmonton youth to live healthy lives. Through these pathways, iHuman staff work with youth to establish a support system and build trust relationships. Infinite WOOFS Animal Rescue Society is an Animal Rescue located in Edmonton, Alberta that started up in March 2013. They rescue and rehabilitate unwanted, abused and neglected animals and find them their furever homes. The Kids Cancer Care Foundation of Alberta is a charitable organization that helps families fighting childhood cancer in Alberta. Their programs are uniquely designed to meet the needs of the whole family at each stage of the cancer journey, from diagnosis through treatment and beyond. Kids Up Front creates opportunities and life-changing experiences for children, youth and families facing financial and/or social barriers by providing event tickets, that would otherwise go unused, to an art, cultural, sport or recreation event. The Kids with Cancer Society strongly believes that comprehensive family centered programs are essential to effectively treat children with cancer. In order to meet the needs of the whole child and their families from the time of diagnosis, throughout treatment, survivorship and beyond, programs are developed that address the support, clinical and research needs of our children. Knitted Knockers are special handmade breast prosthesis for women who have undergone mastectomies or other procedures to the breast. Traditional breast prosthetics are usually expensive, and they typically require special bras or camisoles with pockets and can't be worn for weeks after surgery. Knitted Knockers on the other hand are soft, comfortable, beautiful and when placed in a regular bra they take the shape and feel of a real breast. LASA is continuing its role preserving and promoting the value of our legal heritage and the rule of law in Alberta. Along with the national office, eight regional chapters grant magical wishes to children in need from coast-to-coast. Make-A-Wish Canada is an affiliate of Make-A-Wish International, the largest wish-granting organization in the world, making dreams and wishes come true for more than 450,000 children since 1980. Operation Friendship Seniors Society is a non-profit society that provides community-based preventative social services to the seniors of Edmonton's inner city. We provide safe, affordable non-institutional housing options. Ronald McDonald House Charities Northern Alberta is a place of comfort and compassion for all families with ill and injured children. While the families who stay at RMHCNA come from outside Edmonton, the House also helps families from Edmonton through the Day Pass Program, where families have access to all House programming. Founded in 2012, SkirtsAfire Festival is a multidisciplinary arts festival that EMPOWERS, DEVELOPS, SUPPORTS AND SHOWCASES WOMEN ARTISTS. In conjunction with International Women’s Day, the festival runs each March at various venues in the heart of Alberta Avenue, an area that is reinventing itself as an Arts and Dining district in Edmonton. The Chinook Series, in partnership with Azimuth Theatre, Edmonton Fringe Theatre and Workshop West Playwrights' Theatre is proud to present SOUND OFF - Canada’s national festival dedicated to the Deaf performing arts. The Stollery Children's Hospital opened in October of 2001. In honour of the Stollery family who played a major role in making the Hospital everything it is today, the Children's Health Foundation changed its name to the Stollery Children's Hospital Foundation. Terra began in 1971 as a small group of young moms who wanted more for themselves and their children. They were determined to complete their high school education striving for a more promising future. Today, Terra provides support, services, and necessities to 1,000 moms, dads and children each year. Founded in late 2009 by professional runners Ryan and Sara Hall, The Hall Steps Foundation is a non-profit movement to fight global poverty through better health. The goal is to build a community and provide each member an opportunity to take their own STEPS toward relieving suffering and helping the poor rise out of poverty. At Westend Seniors Activity Centre, they are changing perceptions of what a senior's centre can be - and what it means to be 55+. Established in 1978, Westend Seniors Activity Centre is a registered non-profit organization. Their mission is to be an inclusive community hub for adults 55+ that provides services, programs, information and activities that support healthy aging and active living. Throughout Edmonton and area, for nearly five decades, WIN House has given women and children of all ages and cultures a safe place to flee. From passionate professionals and volunteers, to dedicated donors and champions of the cause, they are committed to providing safety, support, relief and resources for abuse victims. In 1981, YESS opened its doors providing shelter, safety, and hope to youth facing difficult realities. Over the years, thousands of kids have come through the doors.